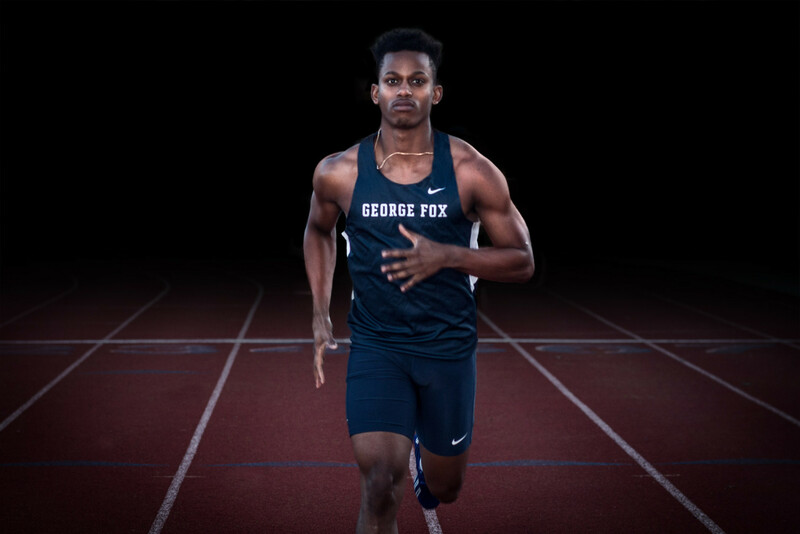 Two weeks ago, Josh Priester stood on the track of Stoffer Family Stadium, the same track he competed on as an undergraduate student athlete at George Fox. This time, he wasn’t the athlete. 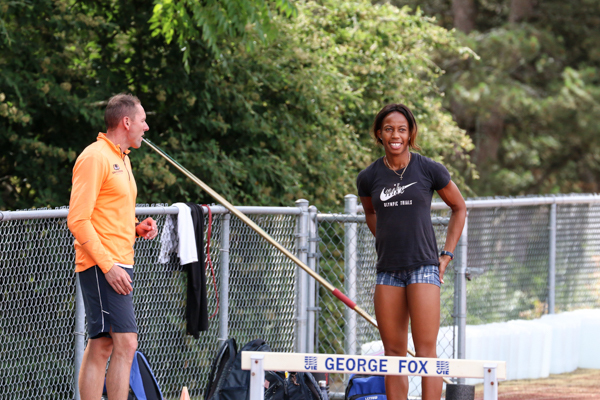 Priester is now the founder and executive director of the Santa Barbara Track Club, and he brought his elite athletes to train at the George Fox facility before they headed to Eugene, OR for the USA Track and Field Championships hosted at Hayward Field. One of his athletes, Barbara Nwaba, would go on to win the national championship in the heptathlon with a personal best 6,500 points. 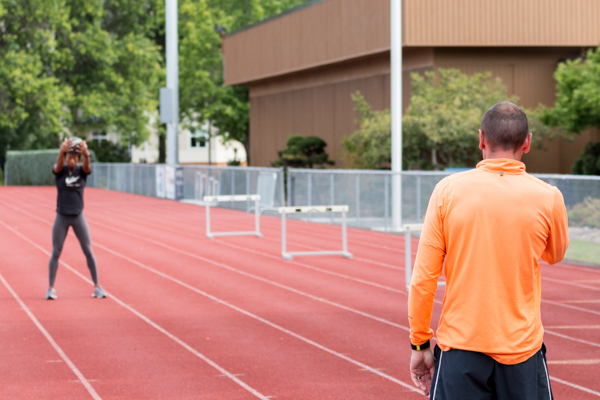 He was watchful and engaged as his athletes trained — ensuring they didn’t push so hard that their bodies couldn’t give a peak performance at the championships that weekend. 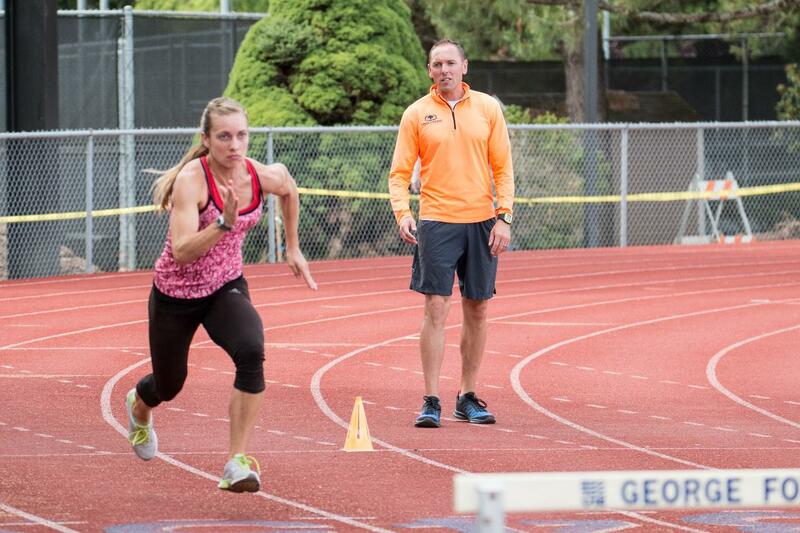 His journey to the national stage as a coach of elite athletes began more than a decade ago. 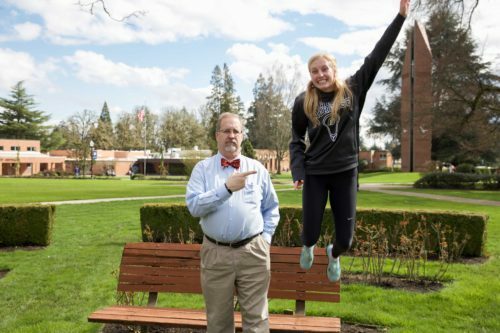 After competing very successfully in the decathlon at George Fox, he transitioned from student-athlete to coach at George Fox. He soon after made the jump to UC-Santa Barbara, an NCAA Division 1 school. 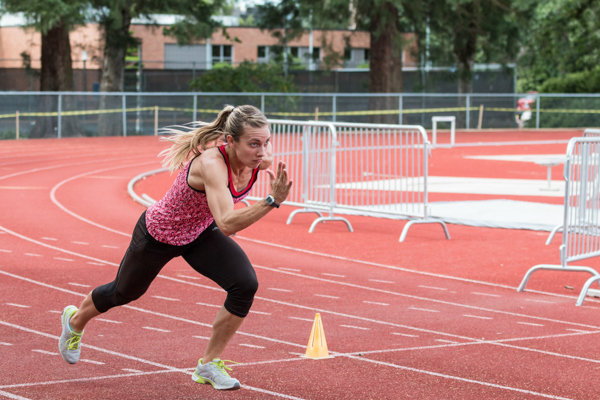 He saw the need for a track and field program for elite athletes with the desire and talent to compete professionally after graduation, and created the Santa Barbara Track Club to fit that purpose. The athletes who train with him also work with the community by serving as coaches and mentors to youth. 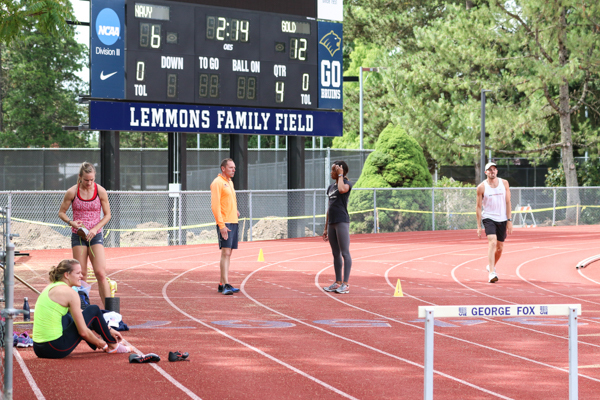 Priester now spends his days training some of the most talented heptathletes and decathletes in the country. 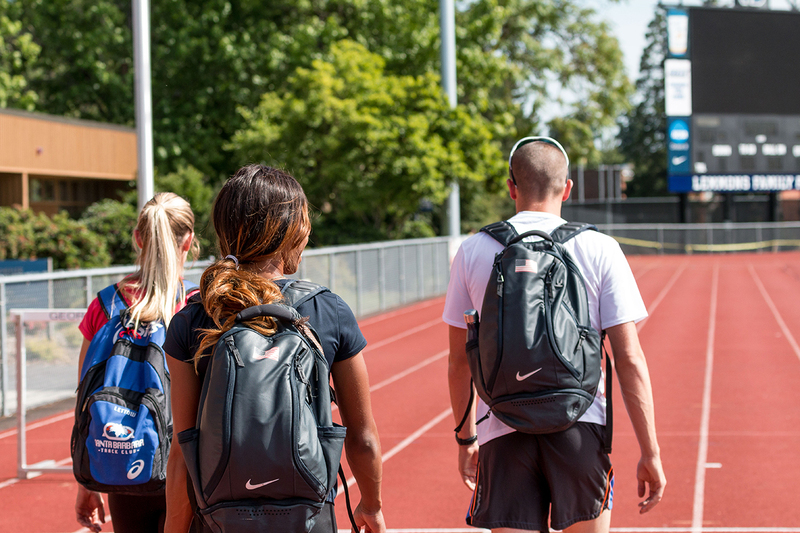 At the USA Track and Field Championships, all four of the athletes he brought from his club placed in the top 10. 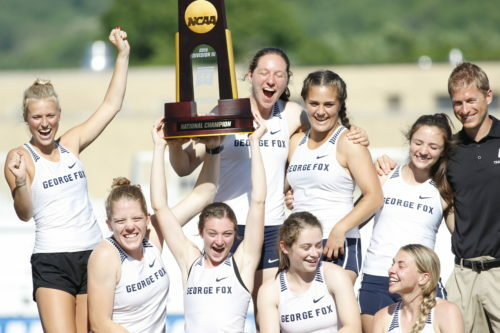 Three will advance to the Thorpe Cup in Germany, and Barbara Nwaba, the newly crowned champion in the heptathlon, will represent the United States at the IAAF World Championships held this August in Beijing, China. And with the 2016 Olympic games set to be hosted in Rio de Janeiro, Brazil, momentum is building and excitement is mounting for what could be in store for this 26-year-old budding star.